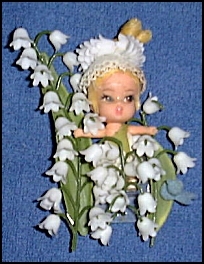 "Fragrent Pin-On Flower, and Dolly Comes Out to Play, Too!" a little spin on their serve by making the dolls wearable and perfumed. any of the girls on their cards.